Question time: When you hear the phrase “work-life balance,” what does it mean to you? Is it a 50/50 split between your work-life and home-life? Is it more like 70/30? 40/60? So now that you have identified your “ideal” balance, let’s look at your reality; does it match your ideal? I’ll be honest – mine does not. My balance is probably 85/15…in other words, there is plenty of room for improvement. 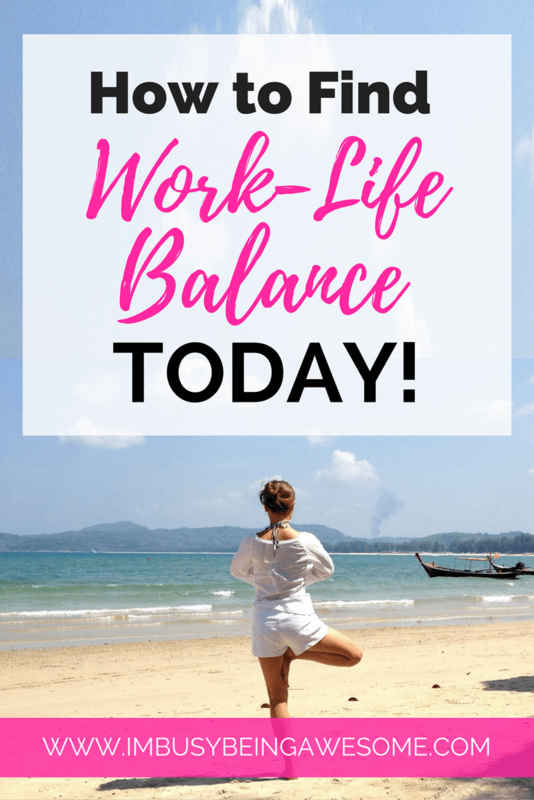 I’ve done quite a bit of research on finding a healthy work-life balance recently, and believe me, there are a lot of different suggestions out there. The one that seems to dominate every article I’ve come across, however, is to physically schedule in time for “life”. What a novel idea. When you stop and think about it, this suggestion makes complete sense. 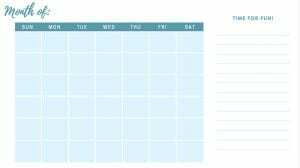 You set aside a certain amount of hours every day for work: meetings, conference calls, big assignments, approaching deadlines – they’re all right there on the calendar. Why not do the same for the time spent with family, friends, your dog, yourself? 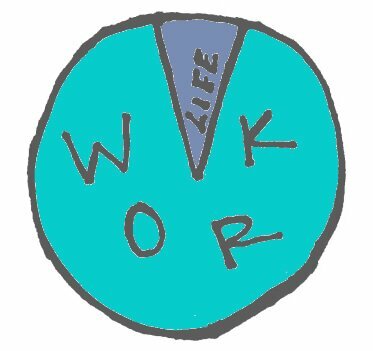 I don’t know about you, but for a long time, I’ve just hoped that once I complete my work, the “life” part will simply fill in the gaps. You know what I discovered? It doesn’t…more work fills in the gaps instead. So I’ve made it one of my goals over the summer to get a better grip on this elusive balance, one week at a time. For this first week, I figure I better follow the most popular advice out there and schedule in time for fun. In the picture below, you will see that I’ve actually entered time in my calendar for non-work related activities. It’s there. It’s officially posted on the interwebs. This means I must stick to the plan. I’ll be back next Wednesday with a review of this technique. I’ll discuss what worked and what didn’t, and I will also offer a new tactic for the following week. I hope that you will join me on this quest for balance. I’d love to hear about your own tricks on making time for “life” – it would be great to try them in the coming weeks! Also, I’ve created a free PDF “Fun Calendar” for you to download. Put it to use! Schedule in “fun time” for the coming week and let me know how it goes! Finally, if you’re looking for even more updates, tips, and suggestions on living your busy-awesome life to the fullest, be sure to subscribe to the I’m Busy Being Awesome newsletter. Wow! Congrats on your new mom status 🙂 How exciting! 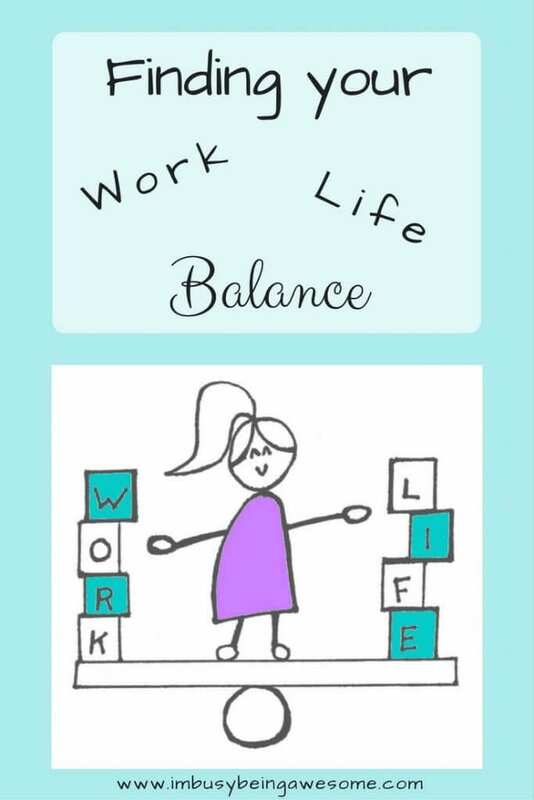 Work life balance is definitely important but it can be a struggle for me. I agree, Jenny. It can certainly be tough. Thanks for stopping by! As a teacher, the balance is SO tough! I really feel like life was not meant to be lived running from one event to the the next! I am also focusing on a Happiness Project to improve where my time and energy is spent while enjoying the finer things in life. Agreed – both my husband and I are teachers, it is definitely hard to squeeze everything in! I love the idea of a happiness project; I’ll head over to your page to check it out! Really good tips! Love the thought to schedule in the fun- that is so necessary! I often don’t do it well! I hate the idea of structuring my life, but I realize it’s a necessary evil if I’m going to have some semblance of order and the time I desire to have a balanced life. I think blocking time is a great idea and I’m going to give it a bit of consideration. Thanks, Tracey! Yes, the idea of having to block in “fun time” is a little counter intuitive – I agree. Unfortunately, I have the tendency to fill ALL free time with work, so if I don’t schedule it in, it doesn’t happen :-p It’s worth a try if you ever struggle finding that balance. Thanks so much for stopping by! It is so hard to balance everything! And I agree your balance may not be my balance. 🙂 I do want to get better at spending quality family time together. Yes, family time is SO important, and it is often the thing that gets pushed aside first. It is so hard to find the balance, but I love your suggestions! Great post! Yep, carving out time for self-care and family fun is an ongoing balancing act. I think changing our perspectives of perceived stressors helps, too. I just wrote about this today about viewing our home’s Landing Zone to be more of a Launch Pad. I totally agree with you, Paula! Spending some quality time with you family, friends and just to be away with regular official stuffs helps a lot! I personally discovered that your mind feels so relaxed and you boost up with all positivity. One should definitely take out some time from themselves to maintain work life balance. Thanks for sharing this post!